It’s not just the bumper-to-bumper Mercedes-Benzes at an event preaching energy efficiency, writes John Kao from the World Economic Forum’s annual meeting—it’s the elites hell-bent on social innovation. Davos is where the utopian and the dystopian come together to produce an experience unlike any other. And this year is certainly no exception. The mission of the World Economic Forum, and its Annual Meeting in Davos, is to improve the state of the world. This is where political elites rub elbows with business elites who rub elbows with techno-elites who rub elbows with entertainment elites. Even the social innovation and economic development communities are represented by their elites. And the aura of exclusivity flows everywhere. Sorry, you can’t come in right now, the prime minister of (pick your country) is just leaving. You didn’t hear about the (fill in the blank) party? Sorry, we have to wait for the motorcade to pass. Sorry, this is a private meeting. You mean you didn’t know where the Google party was? Davos is fun! The parties and perks are too numerous to mention. In my own modest corner, I got an iPod, boxes of chocolate, technical winter gear, a coffee table book of photographs of India, and every imaginable form of information goodie, from a memory stick infused with CEO monographs to white papers whose graphic design rivaled that of any luxury product anywhere. At the Forum, it is possible to party and network from morning until dawn. If the stack of business cards you’ve acquired in the process doesn’t at least match your shoe size, then you’re simply not trying hard enough. It’s not just high school with more money; it’s high school with countries, governments, corporations, and big sectors of the innovation economy. And there are ironies, if your eyes are open. At a meeting concerned with the green economy, gourmet food fills the tables. In a world concerned with energy efficiency, the quaint little streets of this Alpine town are clogged with late-model Audis and Mercedes-Benzes sitting bumper-to-bumper in heavy traffic. And in a world that is trying to conserve trees, there are overflowing stacks of every imaginable newspaper, magazine, print report, and monograph, as countries and companies vie for mindshare in perhaps the ultimate environment of high-quality information glut. There are ironies, if your eyes are open. At a meeting concerned with the green economy, gourmet food fills the tables. Don’t get me wrong. I’m all for the conversations, understandings, and agreements that come out of Davos, which is perhaps the ultimate platform for business oriented global connections. Nothing else comes close. Business and government need a certain amount of theater to enable the kind of strategic discussion that makes things happen. I’m simply observing that Davos also mirrors some of the contradictions that characterize our world as we all work toward a better one. Dubbed "Mr. Creativity" by The Economist, John Kao is a contributing editor at The Daily Beast and an adviser to both public- and private-sector leaders. He is chairman of the Institute for Large Scale Innovation, whose i20 group is an association of national innovation "czars." He wrote Jamming: The Art and Discipline of Business Creativity, a BusinessWeek bestseller, and Innovation Nation. 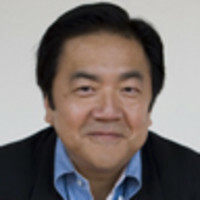 He is a board adviser to twofour54 and a director of Phylotech, a company that bridges cleantech and life sciences. He is also a Tony-nominated producer of film and stage.